In November 2018 a vote will be held to see if businesses within the designated BID area would like it to continue for another five years to 2024. If they vote “no” the BID will end in March 2019 taking many thousands of pounds worth of investment out of the town. Therefore the BID Board needs to ascertain what issues will be of concern to Otley businesses and so the 2017 Summit was arranged. The Summit was chaired by Tom Hatley and the panel members were Councillor Judith Blake (Leader, Leeds Council), Gerald Jennings (President, West & North Yorkshire Chamber of Commerce), Julia Chance (Northallerton BID Manager), Katie Burnett (President, Otley Chamber Trade), Steph Lee (Chair, Otley BID), Tom French (Sainsbury’s). All businesses within the BID area were contacted and invited to attend and to supply questions. 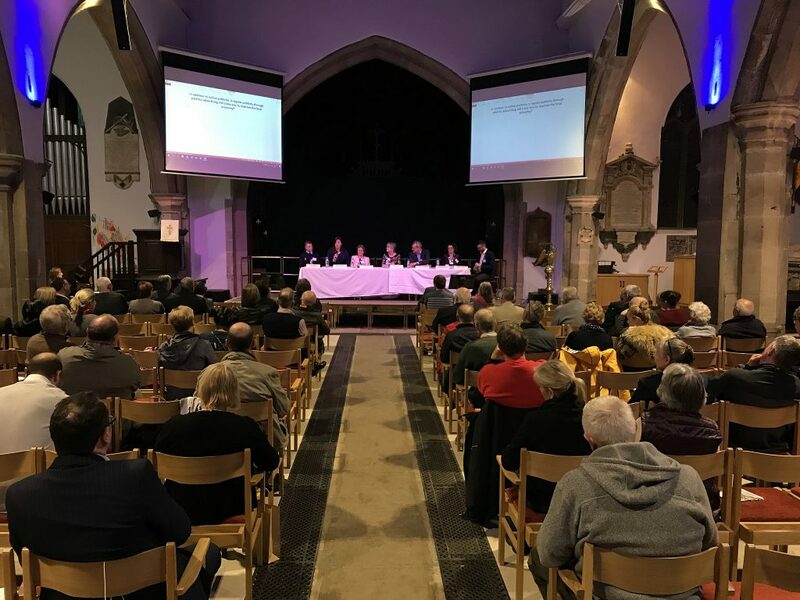 An opportunity for businesses to discuss their concerns and provide an honest appraisal of whether the questions raised are a matter of concern for the BID. In addition, the BID board previously identified issues that could be of concern to local business and so attendees also voted on these at the event. Finally, what is the perceived future for small towns – bearing in mind pressures such as online shopping and Leeds’ new economic drivers of standalone hubs and doubling the size of the city centre. 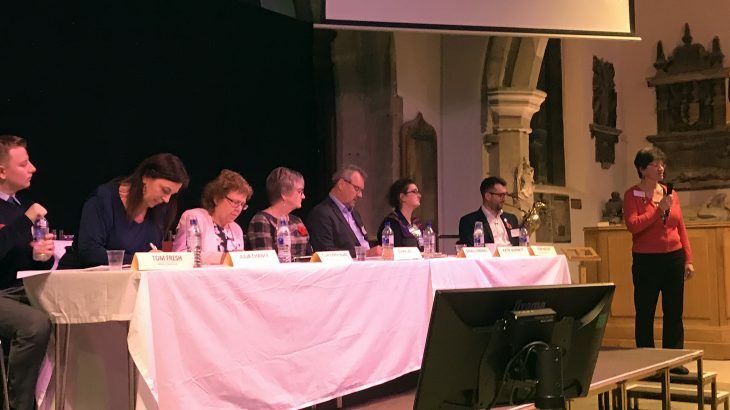 Four of the Panel members were asked to prepare and provide short responses on current and future pressures on market towns like Otley. After each issue/question raised, the panel Chair, Tom Hatley, asked BID members to vote on whether they supported or opposed the idea and any comments. A summary of the questions and comments is below and a verbatim response of comments and an audio recording of the event are also available. In addition to online publicity, is ongoing publicity through paid-for advertising still a key way to improve the local economy? 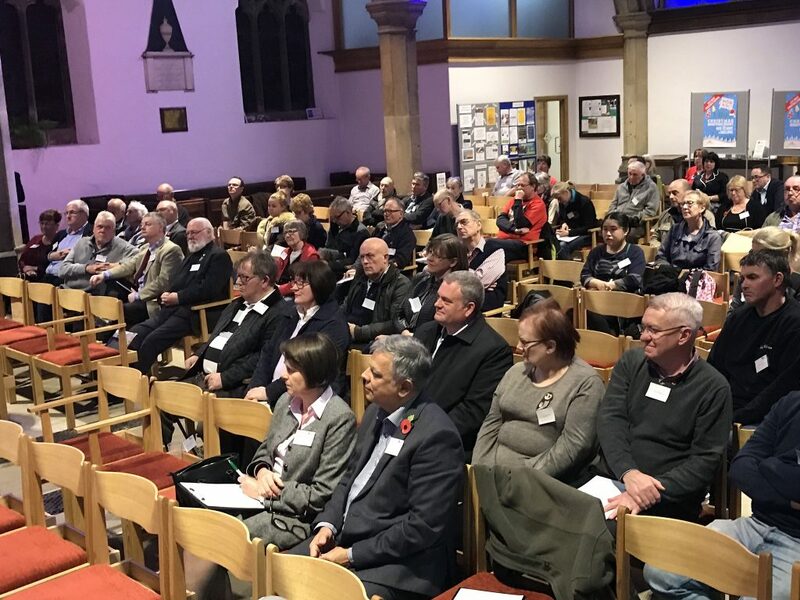 This was included as several businesses expect to see BID funded adverts for Otley shopping in local papers and regional magazines and via local radio service. 21 responses were loosely in favour though 7 of these said it was equally important to use online methods. 11 opposed the idea though one suggested online should be first indicating there is some room for paid for advertising. In the last 10 years Otley has effectively lost all its business development land. This came to a head with the closure of the Moribond site. Should getting new light industry sites be a top priority? Whilst the need remains for light industry locations in Otley, more and more sites are being lost including Moribond, Garnett’s Wharfe, Produmax, Canvasman, in part due to lack of space in Otley to expand. More light industry space is scheduled to be lost when the Ashfield sites gets developed. For this reason the BID is hoping Councillors will support discussions with the developers. 29 businesses voted in favour of this being a top priority for the BID and it was stressed that all areas of the town will benefit from this. 3 votes were not in favour of this becoming a top priority. How should commercial areas with top-of-the-range facilities attract businesses to small towns like Otley rather than them all heading to the ever expanding city centre? This question was raised by the owners of Wharfebank Mill and has also been raised by the owner of Chevin Mill. The challenge for these two office blocks is multiple offices are getting built in the city centre as it continues to expand and incentives are offered by these developers to get offices to move to the city centre. This leads to more vacancies in Otley. 22 businesses supported this need and general comments recommended the City Council and LEP providing assistance. 3 said no but gave no explanations and 8 abstained including a range of suggestions including improve transport links, lower rates, put more reliance on tourism. What can be done to improve the appearance of businesses and especially upper floors? Discussion led to a different vote being held on this. The vote held was based on a policy adopted in Birmingham and the question voted on was: Should landlords pay double if they do not maintain a good appearance for empty premises? 10 businesses supported the idea of putting pressure on landlords to keep their premises looking good when empty. 19 voted against this proposal noting landlords already pay enough and should be encouraged to make the appearance better rather than fined. How should the market place be used, especially on non-market days? Three questions were included here: The idea of more activity in the market place was raised by Rory McQuaid, Russell Ogden from Otley Market asked a supplementary question about the future of the market and Tony Middlemiss emphasised his conviction the town would do better with short term parking on part of the market place. 25 businesses wanted greater use of the market place. 6 opposed to greater use and 5 of these said it should be used for parking. 11 wanted part of the market place to provide short-term car parking as in other north and west Yorkshire market towns. 2 specified they did not want parking. No comments were made regarding Russell’s question on the future of the market. To retain and develop Otley’s strong cycling image, could more cycle routes be developed at safe locations around the town and area including Otley Chevin? Whilst this would be an LCC Highways led project there was strong support. 29 businesses supported this noting a range of improvements should be investigated including cycle racks near stopping off points such as tearooms. 1 opposed the idea but gave no reason and one abstained questioning how businesses could assist with this. To reduce traffic congestion could a bus drop people in the town centre and at key work locations and pick up from residential areas? How could this be funded? It is understood that bus companies would charge around £100,000 pa for 2 drivers, fuel and costs so the funding aspect is very pertinent. 26 businesses supported the idea, however two of these stressed signage was an issue and one said it was a train station which was needed. 5 opposed the idea largely due to the cost. Could the Council and businesses community work together to help homeless people coming to the town centre and what form could this take? The majority of businesses abstained following a good debate on the issues. 11 supported the proposal with many suggesting Charities should play a lead role. 5 opposed it saying groups with specialist skills should oversee things. 18 abstained, largely repeating that specialist groups should oversee things. Monthly Updates Otley, Otley Bid Summit, whats on in otley. permalink.